What is a network effect? A network effect is a powerful, positive outcome that exists when a service’s value increases as the number of users using the service grows. 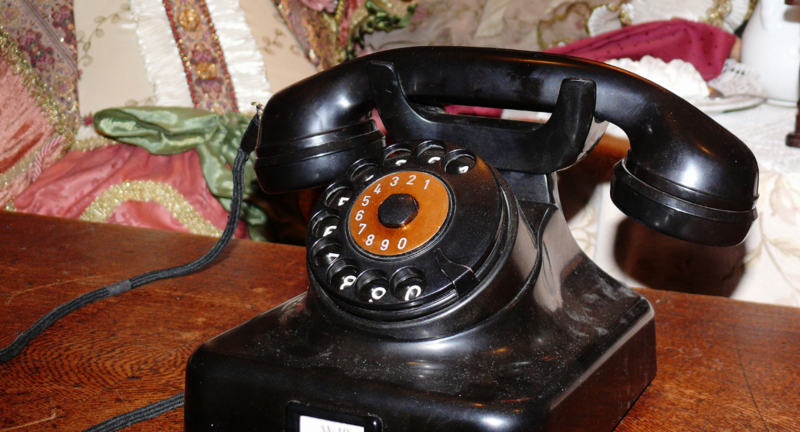 One of the most common examples used to illustrate the benefit drawn from a network effect is the invention of the telephone. While people didn’t necessarily install telephones to benefit anybody but themselves, they wouldn’t be at all useful unless other households had one. Therefore, the more people who had phones, the greater the network effect. Tenstreet has three of these services, all in full (network) effect, and all at critical mass – which is achieved when a service provides more value than what it costs. But when you’re not aware of how they work or what they do for you, you can end up throwing valuable resources away by misusing them. Our goal in this blog and in the webinar at the bottom of the page is to help our clients reap the full value out of these three networks so that you’re able to make the best decisions for your company for years to come. Our first powerful network effect is the IntelliApp, which leverages the power of over 3,300,000 active drivers. It’s a mobile-first application that pre-populates personal information, employment history, licenses, accidents, violations, and more. When a driver completes an IntelliApp for the first time, we store their data so that they’re able to complete any subsequent application in minutes – making the application process easier for drivers and increasing your application volumes dramatically. At the time this blog was written, more than 80% of the active driver population has completed an IntelliApp, and over 72% of IntelliApps submitted in the last month were completed using a mobile device. For today’s numbers, check out our evergreen IntelliApp blog which is updated monthly with the most current industry information. Because the IntelliApp offers the power of pre-population, more drivers than ever before are filling out applications on mobile devices. So how can your company take advantage of this? Find ways to improve your recruiters’ response time and you’ll be able to secure the drivers you need before the competition does. The social expectation of communicating on a mobile device is that a response will be more expeditious (than a phone call or email, for example). According to our data, the longer a driver has to wait for a response, the more likely he is to send you to voicemail and/or fail to return your call. Our second (and newest!) network effect is Driver Pulse, a driver-facing mobile app that allows drivers to search for carriers, apply for jobs, view the current status of their application(s), communicate and share documents with their assigned recruiter, refer other drivers, create a profile to assist in job matching, and oh so much more. This app continues to grow in functionality and is freely available on iOS and Android. We have drivers rave about this app as it’s made managing their driving career and getting a job so easy that they’ve stopped using other methods entirely. Driver Pulse is a free application that connects drivers to carriers. This network has over 90,000 active drivers and over 3,000 carriers on it every month, and it’s growing every day. Overall, over 644,000 drivers have downloaded and interacted with the app. Driver Pulse uses a powerful matching service that allows drivers to create a profile and match them with a carrier’s job. Considering that traditional lead sources only result in a hire for every 3 out of 100 leads, matching jumps hiring rates from 3% to 6% on average. And if we assign a value of $30 per application, Driver Pulse delivers $600,000 in free apps each month – meaning that if you don’t have your company profile or your active jobs listed here, you’re losing out on free applications. Drivers search for carriers every day that unfortunately don’t yield any results, and if you’re that carrier they can’t find, those drivers dedicated to using Pulse will simply move on. Xchange, our third network effect, allows carriers to request and provide verifications via email, fax, or “Network” – our most beneficial method of providing, which provides an abundance of efficiencies for carriers. Any carrier can provide their verification via the Xchange network at no charge, and over 45,000 carriers are currently doing so. In fact, we now have 35% of the DOT verifications completed via Xchange, equating to over 80,000 requests each month. Over 3,200 carriers currently use “Network” as their preferred method of providing employment verifications, and these are the carriers who garner the most from the Xchange network. As a “Network” Xchange Provider, verifications are returned 40% faster than the traditional methods of faxing paper requests and releases. Instead of waiting days for your verifications to return (wash, rinse, repeat), “Network” providers gain major efficiencies in their recruiting operations such as being able to store all the relevant records regarding former employees’ work history once and sending all subsequent responses for that same driver to companies requesting him in one click – meaning no more filling out the same files and information over and over. Xchange even automatically stores all requests and the attached releases for your records, significantly reducing the total cycle time and reducing the labor split between your processing and recruiting functions, which gives you the ability to truly rethink and optimize your operations. Don’t throw away valuable resources! These three networks remain unparalleled in the industry and are unique to Tenstreet’s software and help you streamline your company’s operations, from processing to managing drivers. And these three networks will only continue to grow more valuable to our clients as we continue to onboard new companies, carriers, and drivers to our family every day. To learn more about what tools we have to support the success of your business, listen to Tenstreet’s CEO, Tim Crawford, walk our clients through how they can get the most out of these positive network effects and illustrate significant driver trends we see across all three networks. Watch the Network Effects Webinar!